The Jeep Grand Cherokee is the off-road SUV that allows you to choose your adventure while riding in comfort and style. 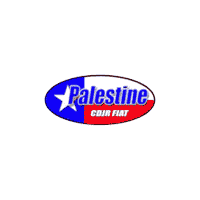 Visit Elliott Chrysler Dodge Jeep Ram Fiat Palestine and take this fun-to-drive SUV for a spin around Palestine. What stage of life are you in? Do you have a growing family that likes to head out for adventure? Do you need an SUV that was built for fun and your day-to-day life too? If you need an SUV that is roomy, luxurious, and fun to drive, you need the Jeep Grand Cherokee. It was built for families like you and we have them in stock at Elliott Chrysler Dodge Jeep Ram Fiat Palestine. When you choose an SUV for your family, you need it to be roomy and versatile. You also want it to be comfortable and convenient too. Driving shouldn’t be a hassle, it should be something you enjoy and in the Jeep Grand Cherokee, you will. Leather seats offer plush surfaces that will envelop you like a pillow. For ultimate comfort, heated and cooled seats allow you to heat your achy back when you need it and cool off when you want it. Leather accents can be found throughout the cabin for a more luxurious appearance. Keyless Enter ‘n Go allows you to open your Grand Cherokee even if you have your little one on your hip, so you don’t have to fumble for keys, and starting your Grand Cherokee is as simple as pushing a button. When you need additional room for your cargo, the Grand Cherokee offers a maximum cargo area of up to 68.3 cubic feet so you can fit it all. If it’s technology that drives your experience, then the Jeep Grand Cherokee will not disappoint you. It is packed full of cool tech that will make your drive more enjoyable so you may even want to take the long route home from work. The Uconnect Infotainment System acts as your command center and makes your Grand Cherokee more functional. Integrated Navigation allows you to get real-time traffic updates so you can find the best route home to save you time. Siri Eyes Free allows you to make and receive phone calls, send and receive text messages, stream music, get directions, and more, all with the sound of your voice thanks to Bluetooth Technology. You can also listen to music on HD Radio, or SiriusXM Satellite Radio on either the 9-speaker Alpine Surround Sound System or Harman Kardon System and get hours of endless entertainment while on the go. Let our tech experts at Elliott Chrysler Dodge Jeep Ram Fiat Palestine show you all the possibilities today. We all want the best and the same is true when it comes to safety features. We as parents want to keep our kids safe whenever possible, that is where the Jeep Grand Cherokee can help. It is full of advanced accident avoidance technologies designed to keep you safe. Have you ever been distracted and drifted out of your lane? The LaneSense Lane Departure Warning System with Lane Keep Assist helps to keep you securely in your lane. Forward Collision Warning with Active Braking is there to help you when a car suddenly stops in front of you without warning so you can avoid rear-ending them. You can change lanes with confidence because the Blind Spot Monitoring System lets you know when it is clear to make your move. When you are shopping for your next Jeep Grand Cherokee, we hope you consider Elliott Chrysler Dodge Jeep Ram Fiat Palestine. We keep a strong inventory of the popular SUV on our lot so you can be sure to find exactly what you are looking for. We carry a variety of models in different colors and options so you won’t have to go anywhere else to find your dream car. Browse our inventory online, then when you are ready, come down and see us to take a test drive. Once you fall in love, and we know you will, we will work hard to get you into the Jeep Grand Cherokee of your dreams. Call, email, chat or stop by anytime with any questions.